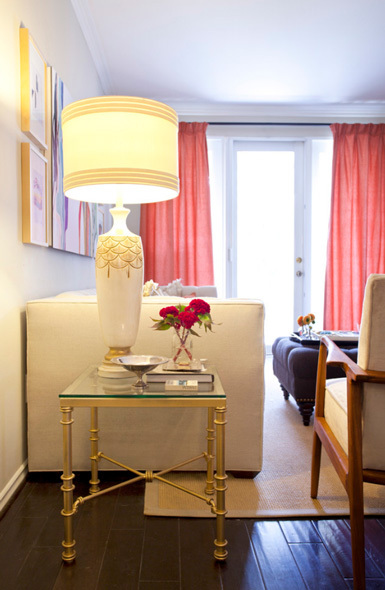 Ever since I considered using the color coral as an accent in my living room, I've kind of been obsessing over it. I'm noticing it everywhere and love its versatility! 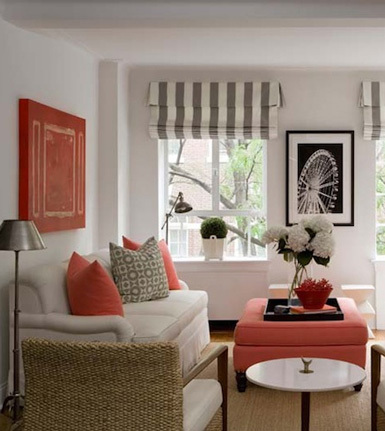 Not quite orange, which can be a bit too bold, and not quite pink, which can sometimes be too feminine, coral is a fabulous accent color that can be dressed up or down. Pair it with charcoal gray for a sophisticated look or pair it with turquoise and yellow for a fun modern feel. 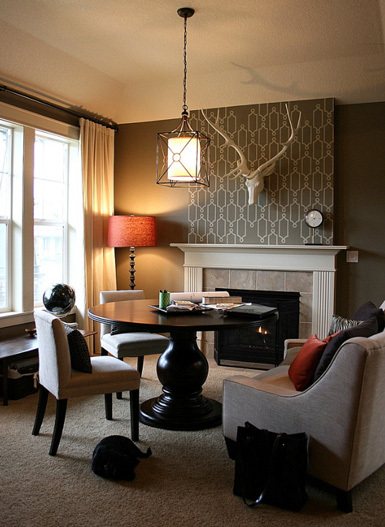 I've gathered some fantastic spaces that show how beautiful this color can be when used the right way. 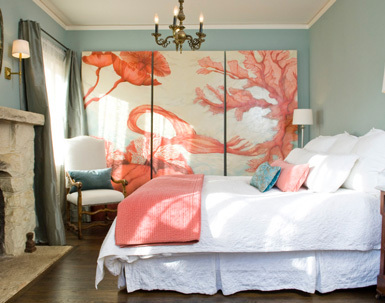 Now I'm on the hunt for the perfect coral fabric to make accent pillows for my living room re-do. What do you think about this color? I think coral is absolutely perfect. This is a colour I hope remains popular for a long time! I love coral! can't wait to incorporate it in my home! 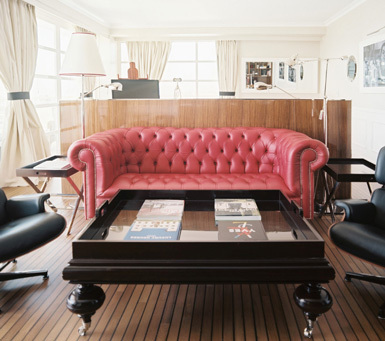 So pretty - love the coral tufted couch in the first pick! So pretty! I think this is the perfect color and I'm loving your round up here! super fun and so chic with grey! Yes! I love coral!! It is such a chic color, and yet so much fun! Thanks for posting this! 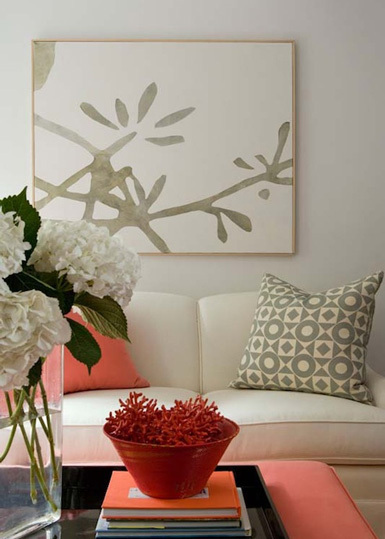 I'm not much of a coral person myself for my home,but would never have a problem suggesting it to my clients especially with these beautiful pictures for inspiration! 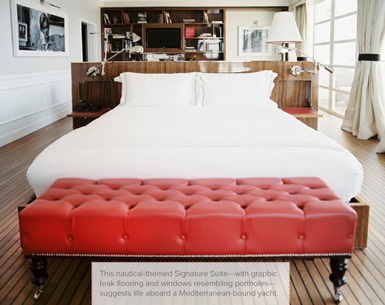 i have been searching for coral cushions for a while now...let me know when and where u find them!